In fact, you’re doing it right. Getting the kids out the door? Yeah, that’s hard. But once you’re there? Your toddler is miserable. He might be the one pitching fits in the nursery. Or biting. Or you may bring her to the service only to spend the entire time correcting her. Just because it’s hard doesn’t mean you’re doing it wrong. I know it’s hard, but it’s worth it. The tough things in life usually are. You could just stay at home. You could sleep in or get caught up on the housework. But instead, you’re fighting it out. You’re bringing that reluctant teenager. Or the reluctant 8 year old. You bring your child to church and you don’t get to enjoy the sermon. You wonder what’s the point? But if you stay home, you miss the chance to connect with other members of the body of Christ. You won’t find out their struggles so that you can pray for them. And you won’t get a chance to tell them yours either. Those moms that watch you walk out of the service with your three year old again? Yeah, they’ve been there. And they might have just the encouragement that you need, but you’ll never know if you stay home. If you’re home, you won’t see those newcomers. You won’t see the mom and her new baby, the one who will be in your shoes one day. And she won’t see your battle either. But I think she needs to. Guess who she’ll talk to when it’s her child that’s biting in the nursery? You, mama. Because she knows your kids aren’t always perfect. If you stay home, your children won’t see the value of being part of the local church. They won’t see it as your priority so it won’t become theirs. They won’t hear that Bible story in Sunday School. These are the very stories that will become the foundation of their theology. By hearing them at home and at church, they’re building a view of who God is. This is one way that we teach our children to treasure Christ above all else. We love Christ so we love the body of Christ. We love Christ so we love His church, both local and global. And if you stay at home, they won’t be exposed to the tiniest of truths that each of my babies have learned: I am loved at church. And here’s the real secret: If you stay home until the phase passes, guess what? Next year, you’ll be no closer to your goal of enjoying a Sunday at church than you are right now. You’ll have to start all over again. You will have to start training your children to prioritize Sundays and how to behave in church. So no, mama, you’re not doing it wrong. You’re doing it right. You’re fighting the battle now. You’re showing your children that being a part of the body of Christ matters. Both you and your children are connecting with other believers. You’re learning about the Lord. OK, so maybe you don’t learn much during the whole two minutes when you could actually focus. But you know what? It’s two minutes more than you would have if you stayed home. And every Sunday, it’ll get just a little bit easier. The toddler fits will eventually stop because it’s a losing battle for your toddler. Mom wins. He will get used to the church service or the nursery workers and with time, the fits will stop. The reluctant child will see that she’s not winning the battle either. Eventually, she’ll enjoy being at church. And the antsy 5 year old will turn 6. And then 7. And then 8. And they will know how to listen and understand. They’ll know the words to the songs and they’ll sing along too. And you’ll listen to the sermon. You’ll worship the Lord with the body of Christ. Together. If you enjoyed this post, be sure to check out my series on Putting Sunday First. After Church Meals: A Recipe Roundup! Had a lump in my throat as I read it-“Mom wins” —that’s my favorite! Beautiful! The work is tough, but it’s worth it! Thank you! Tough things are always worth the effort. I was *that* mom with the screaming toddler who hated the nursery. I gave in and kept her with me a few times and missed entire church services. Luckily we have a fantastic nursery director who ashtrays shows compassion and love and constantly told me “it’ll get better.” With her encouragement I didn’t give up and now my 2.5 year old (and slightly older two children) absolutely adore church! It has been such a blessing to see my youngest eagerly enter church and immediately look for her friends without so much as a backwards glance. I’m so thankful I didn’t give up and just stay home. They need church as much as I do and on the mornings I’m too tired to get up, I remind myself that there are three young and impressionable ones that want to go, it’s easier to get up then! Of course it’s always worth it! I am that mum just now, tired getting 6 kids out the door and exhausted from the endless battles, often ending up sitting on my own at the side of the church because there always seems to be someone more important that my children suddenly need to sit beside. I am expecting baby no7 and dreading the day when my bump is noticable, the rude and ‘humerous’ comments got too much for me last time. I pray everyday that Christ might give me the strength to keep going, and to share these worries with someone I know, but it almost seems too trivial – and I have given up on going to church for now. I was 23 when my son was born. My daughter was born 11 years later. 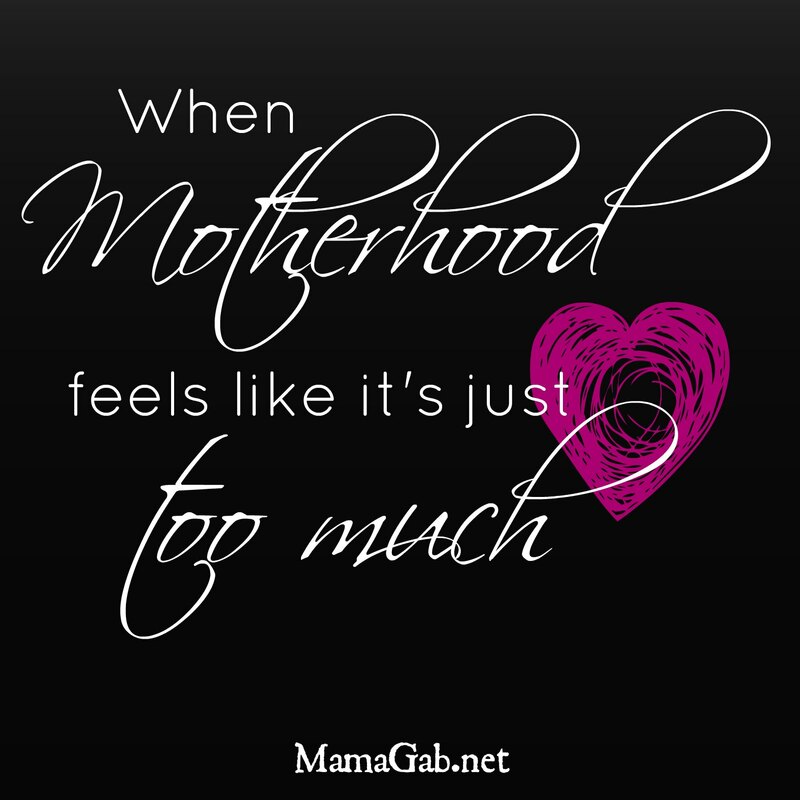 I asked myself many times over the years “is it worth it?” and wondered if I shouldn’t just stay home — years later, now that I’m on the other side of raising little ones, I say “Yes! it IS worth it!” and it was a very good thing we did not stay home. Thank you for you letter Gabby, it is an encouragement to many moms out there. I was 23 when I became a mama to my sweet daughter. 12 years later, I have 6 children- 1 girl and 5 boys- ages 12, 11, 8, 3, 2, and 6mo. I am loving reading these letters to moms. I really needed to read yours today. Our 2 year old is a pill in service and if it’s not him, it’s the baby being loud. Sometimes I do feel like staying at home. Your post is very encouraging!